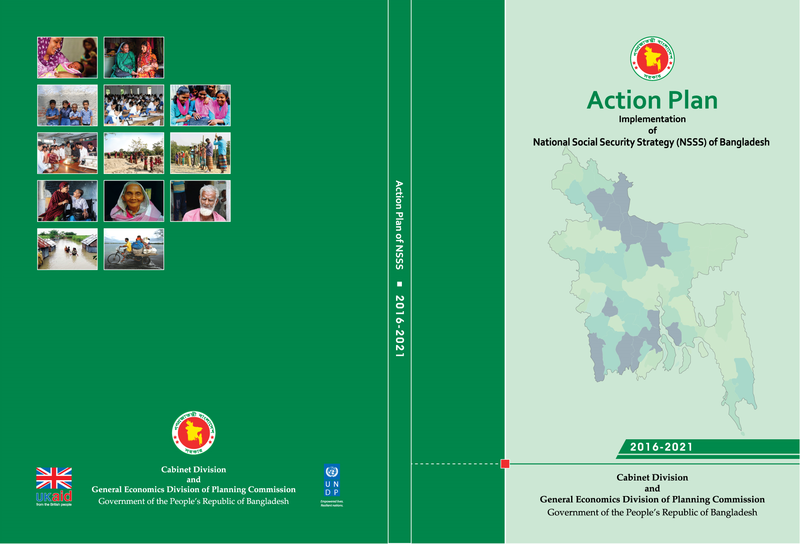 The constitutional provision of the right to social security and the people-centric socio-political commitment of the Government, coupled with Bangladesh’s rapid progress towards Middle Income Country status, paved the way for formulation of the National Social Security Strategy (NSSS) of Bangladesh. The strategy was approved by the Cabinet on 1st June 2015 after more than two years of collaborative efforts of the General Economics Division (GED) of the Planning Commission, the Cabinet Division, line ministries and other stakeholders supported by UNDP and DFID. The core of the NSSS is programme coordination among the implementing ministries and consolidation of programmes along a lifecycle framework, with programmes for children, working age people – including specific focus on youth and vulnerable women – the elderly, and persons with disabilities. It outlines a vastly simplified institutional arrangement that allows proper planning and execution. Implementation of the NSSS involves multiple issues relating to policy reforms, enactment of laws and administrative decisions. Therefore, the implementation of NSSS requires a time bound action plan, for which ministries have worked together to produce the present set of action plans. The objective of the NSSS implementation action plan is to formulate a detailed inventory of activities to be executed by line ministries over the next five years. The NSSS itself provides a sketchy outline of major actions to be accomplished by different ministries. The present action plan builds upon those outlines to expand and spell out the time bound activities of different ministries, divisions and thematic clusters to achieve the mission of the NSSS. The action plan has been prepared mainly in three parts, the first part being the national plan mainly drawn from reviewing the NSSS itself. Then the ministry specific action plans have been prepared. Finally, the cluster level action plans have been formulated. 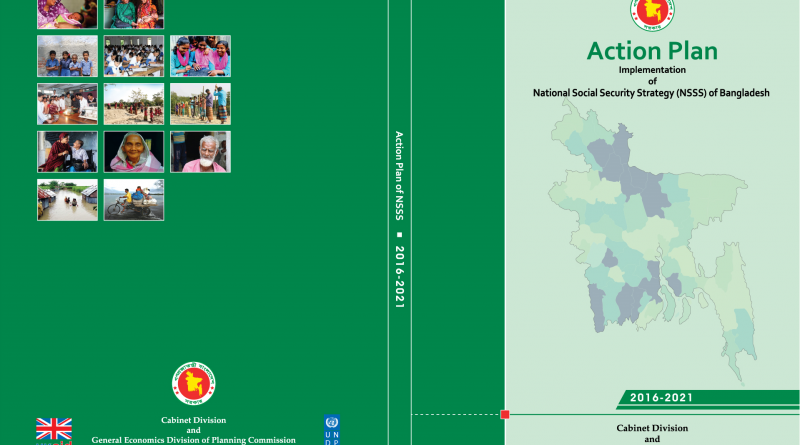 The action plan provides indicators that will be used to track the implementation progress of the action plan. For the sake of clarity, it needs to be mentioned that the activities listed in this plan are just steps for implementation of the NSSS. This is by no means a comprehensive inventory of social security programmes of Bangladesh in coming years. However, the expected proposals of line ministries for consolidation of smaller programme in addition to this list of activities will provide a more complete picture of social security in the country. The action plan is prepared for coming five years till 2021, when most of the major reform proposals of the NSSS are expected to be attained. Over the next five years after 2021 the reform initiatives will be continued before making transition to a lifecycle-centric social security system mainly coordinated by the Ministry of Social Welfare. Now, the challenge is to ensure meaningful coordination and monitoring to implement the action plans as prepared and agreed by the line ministries/divisions.